The VRmagic D3 platform is a freely programmable camera platform based on Ubuntu Linux. It is an ideal solution for OEM applications requiring embedded image processing. The architecture eliminates the need for an additional host computer, thereby optimising system cost. The dual core D3 uses an ARM processor running Linux to perform image processing tasks, wheras the DSP is available for dedicated algorithms. Both processors contain Floating Point Units that supports a wide range of embedded image processing software such as Common Vision Blox Embedded, OpenCV or customer specific application code. No cross compiler is required to run applications from the PC directly on the camera. Due to the ARM processor with floating point unit, the D3 intelligent camera platform offers wide support of embedded image processing toolkits and libraries. It includes Common Vision Blox Embedded, OpenCV, GStreamer, VM_LIB, and many more. The software development kit has many demo applications which aid in an instant start for developing applications, by building upon the supplied demos. The package includes a software development kit (SDK), API and VRmagic CamLab as graphical user interface for camera configuration as well as free demo applications and source code for various development platforms (ARM, DSP). It also comes with codecs for conversion of the image data into different target formats (RGB32, YUV or GRAY), the VRmagic VM_LIB machine vision library and the VRmagic GStreamer plugin (codec, filter). The D3 is available in a number of board configurations, which allows perfect tailoring to the given application. 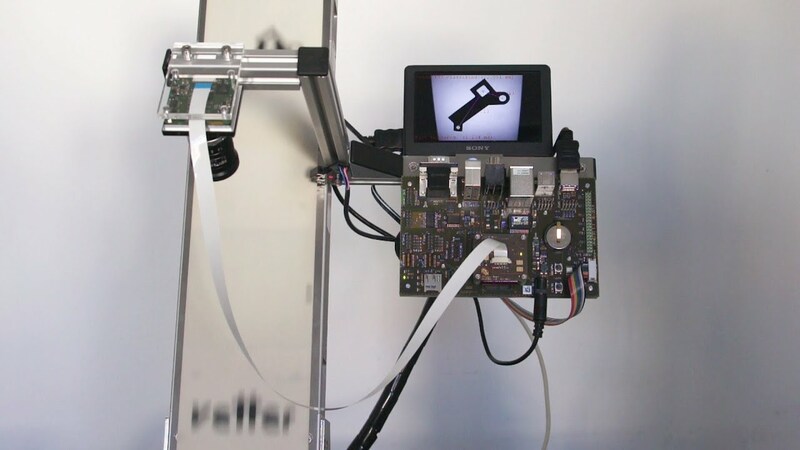 As a multi-sensor camera, up to four sensor boards are connected to the camera base unit using flex-foil cables. This enables pixel-synchronous images from different positions and 3D applications. In a remote sensor configuration, the board is connected to the camera base unit using a flex-foil cable, making the camera perfect for narrow or angled installation spaces. Finally, in single sensor configuration, the sensor board is mounted directly to the camera base unit, forming one compact unit. This is the most robust and cost-efficient camera design. The D3 platform supports a host of interfaces such as Gigabit Ethernet, 44 GPIOs, SATA, USB, HDMI, RS232, RS485, I2C, SD card reader, SPI bus, CAN bus, I2C bus, S-Video and audio. Additional to the choice of standard interface boards with specific sets of interfaces, users can design their own custom interface board. The German camera manufacturer VRmagic Imaging offers a broad product portfolio of machine vision components ranging from ready-to-use industrial cameras to individually configurable OEM designs.